If no-one is home to sign a card is left to collect your order from your local post office...... OR you may choose to give an authority to leave (eg. Please leave at front door next to pot plant). Do you want to order over 66kg and live between Brisbane and the Gold Coast?? We can then quote you on our local delivery option which is delivered directly by us. Minimum 66kg. Below is a summary of postage for your viewing. When you order your products, the cost is automatically calculated for you at the check out. If you would like to know what the charge is before checkout simply click on your cart and you are able to use the estimate shipping cost calculator before you buy. Australia Post eparcel is not automatically insured. If you require insurance incase of loss or damage in transit please select the option with "With FULL Insurance Cover" and this will insure your order while in transit. See table below as pricing is based on your location. Shipping fees include net weight of product/s and all materials used to package the item/s (being total Gross weight). All prices are GST inclusive. 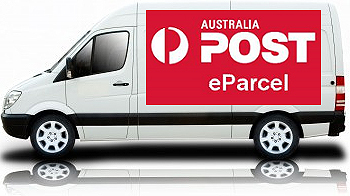 EParcel postage fees vary on items over 500grms (per kilo charges apply on top of base rate based on your location), items under 500grms have a flat rate of $8.50 within Australia only. Online Pet Cart reserves the right to change prices for delivery at any time. If your order exceeds the weight of 22kg using eParcel, an additional base rate will apply. For example, your order weighs 26kg, for a Brisbane or Gold Coast customer only, this would then cost a total of $18 for delivery. $9.50 for the first 22kg plus $9.00 for next 4kg but remember you may go up to 22kg for the second parcel. For some products example 3 x 12kg bags we will needs to send in 3 parcels... But we have you covered to save you doing multiple orders. Any lost or damaged orders that you as the customer has choosen not to pay for insurance is at the customers risk and all liablilities are passed onto the customer from time of dispatch from Online Pet Cart. If no one is present when Australia Post eParcel attempts delivery they will either leave your consignment in a safe place, or leave a calling card and make the consignment available for collection from a nearby Australia Post retail outlet, according to your preference. For further details please see our Terms & Conditions located under "Information" on the left of this page.